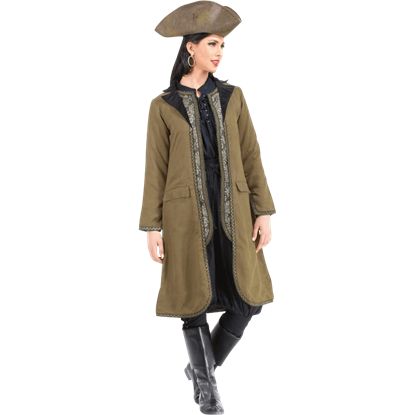 Pirate ladies need not borrow from the men to find a fearsome pirate look! 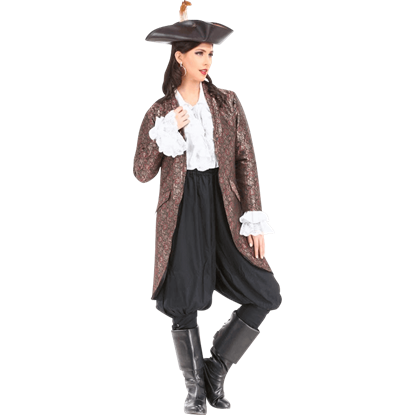 We carry womens pirate clothing fitted for lady pirate captains, pirate queens, and pirate wenches here. 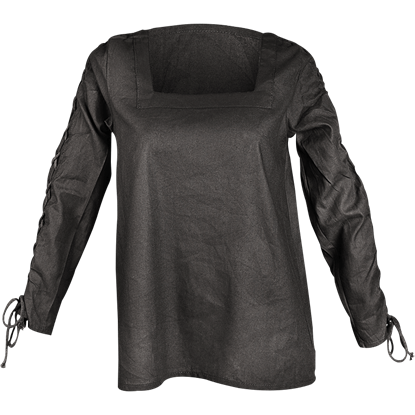 Check out our easy-to-wear pirate blouses and womens pirate shirts and then cinch them with a belt for effortless swashbuckler style. Or add a pirate bodice or corset to your buccaneer look for more fitted, feminine flair. Then check out pirate skirts of many lengths and styles to find the right addition to your pirate guise. 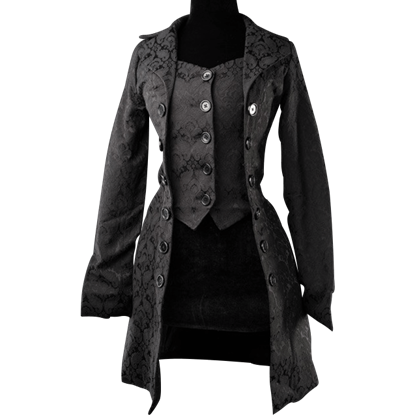 Our ladies pirate coats and vests are ideal for creating a captainly look that will stand out among the rest of the crew. 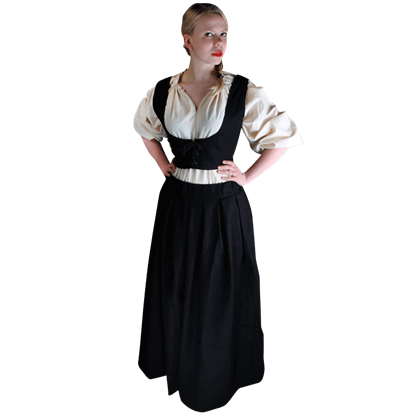 Whatever your pirate persona, we have the womens historical pirate clothing you need for your next pirate festival, reenactment event, theatrical performance, or even Renaissance fair, as many of these styles are versatile enough to work for medieval and Renaissance occasions. The Alvilda Striped Skirt is made of 100 percent cotton fabric. 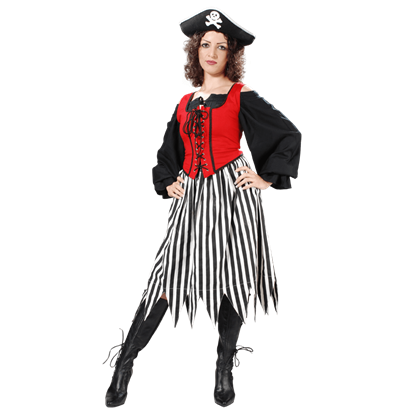 The skirt has a pirate trademark striped design with a zig-zag pattern at the hem line. The Alvilda Striped Skirt has an elastic waist for easy and comfortable wearing. A perfect harmony of research and creativity makes this striped design very noticeable and attractive. The Anne Bonney Striped Blouse is made of 100 percent cotton fabric and has elastic at cuffs to give it puffed sleeves. The Ashaki Pirate Skirt is made from thick and rich Viscose Rayon fabric and features two overlapping juxtaposed layers. The pirate skirt has an elastic and drawstring at waist for easy wearing. 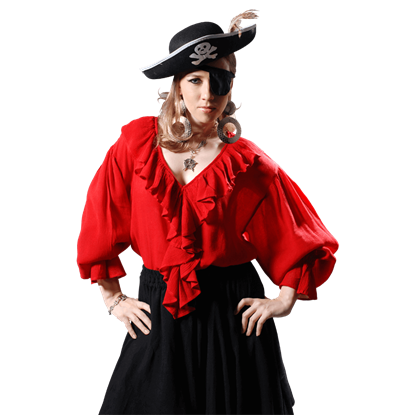 The Barbarossa Female Pirate Blouse is made from rayon crepe fabric and has very feminine features of a pirate. 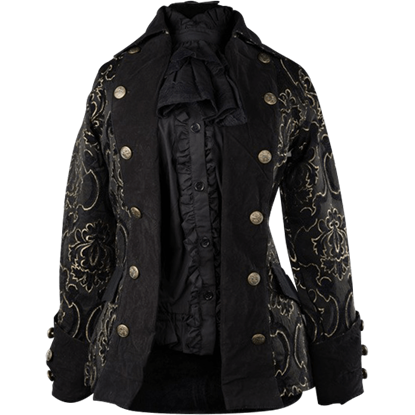 The female pirate blouse has a plunging V-shape neckline with frills around the neck and in front. The high seas have never looked better than with the appearance of the female pirate, the Black Orchid. The Black Orchid Pants are made from black stretch velour and feature leather straps, which buckle around your calves.